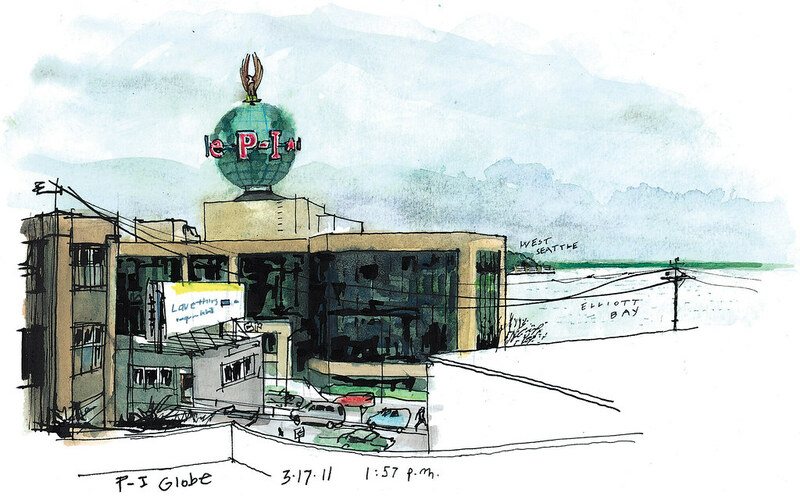 Sketched March 17, 1:57 p.m.
As reported by Lynn Thompson in this story today, city councilmembers are nominating the P-I globe for landmark status. I usually see the iconic globe in photos cropped tight up against the Puget Sound. My sketcher eye, however, can’t zoom in as a camera does, so here’s my take of the art-deco sign a bit from afar. Click on it to see it larger.